Termites are very small organisms that live underneath the surface of the ground. When in soil, they are usually harmless and will not affect your home. When they enter your home, termites pose one of the most serious threats of any pest, causing serious structural damage while remaining hidden for long periods of time. They can even damage carpets, cloth, and other cellulose materials. It is imperative that you identify a termite infestation quickly in order to minimize damage. While they are difficult to spot, you may see swarms of them outside your home after it rains; this can be an indication of a large termite infestation. Other than a food source, termites are attracted to homes by moisture and darkness, often originating in a crawl space.  At Hired Killers, we offer a range of termite treatments tailored for your needs. We’ll treat and prevent the return of termites, annually inspecting your home and property and repairing new termite damage upon discovery of live activity. How Do Liquid Termiticides Work? The baiting system is a very target-specific approach to controlling termites and greatly reduces the amount of pesticide that is applied. In addition, some structures contain building features that make the use of liquid termiticides more difficult, more expensive, or simply impossible. These features include wells inside the foundation, numerous expansion joints between slabs, or large amounts of foam insulation in contact with the ground. Termite baits may be more suitable in these situations. In environmentally sensitive areas or in sites close to water sources where liquid termiticide may have a potential to contaminate groundwater, bait stations may be the best choice. Termite baits may also be more appropriate for situations where “chemical sensitivity” is a concern. Bait stations must be located and fed upon by the termites before control begins, and during this time some additional damage may occur. They must also be inspected frequently (usually monthly or quarterly) to ensure that either bait or, if appropriate, a monitoring device is still present and that the termites are actually visiting the bait stations. The inspection of these stations must continue for the entire time the structure is under contract. Bait stations usually require monitoring at monthly intervals during the initial period following installation, as opposed to an annual inspection typical of liquid treatments. Liquid termiticides are used to establish a chemical barrier in the soil around the structure’s foundation. Termites are almost always present in South Carolina soil, but a properly established chemical barrier can prevent them from gaining access to the structure. The technology for treating houses with liquid termiticides has been in use for many years. Liquid termiticides create a chemical barrier of treated soil around the foundation of the structure that prevents the termites from gaining entry. If the barrier is complete and remains undisturbed and no above-ground sources of moisture are present, control is usually rapid and relatively long-lasting (five years or more). Liquid termiticides may not be well-suited for certain situations for many reasons. Since liquid termiticides exclude termites from a structure but do not reduce the size of the colonies in the soil, any disturbance or deterioration of the chemical barrier around the foundation can allow re-infestation to occur. In addition, if all above ground sources of moisture are not eliminated, it is possible for termites trapped in the structure to form secondary or “aerial” colonies, and they will continue to cause damage. The borate pesticides are used for termites control in a completely different way. These products are applied as a liquid; however, the application is made directly to the wood and not to the soil. This results in a residue of the borate on and in the wood. Research has shown that the termites will not tunnel over more than about 1 – 1 1/2 feet of borate-treated wood. The most effective time to make this application is during the construction of a building because the applicator has access to all framing lumber so that a more complete treatment can be done at that time. However, it is possible to make an application of a borate termiticide after the construction is completed. This would, of course, only be appropriate for a structure with a crawlspace which allows access to the wooden floor system. Borate products work as a long-term treatment for structures. Once the product saturates the wood, it is generally there for the life of the structure. As discussed, borate products are not highly toxic to pets and people. They are fairly easy to apply, and if applied in sufficient concentrations, they are generally effective against termites. Another advantage of borate products is the fact that they can help to control wood boring beetles, carpenter ants, carpenter bees, and wood decay fungi. The use of borate products does not provide for any product to be applied to the soil around a structure. Thus, measures must be taken to ensure termites do not gain access to the structure and its contents since there is no barrier to prevent them from attacking the untreated wood of the building. It is especially important for a pest management professional to do a thorough structural inspection each year to make sure that the termites have not managed to gain access to the structure. While these products are labeled as “stand alone”—meaning they can be used without any other treatment—many pest control companies choose to make a limited application of another termite control method to supplement the borate treatments. Eliminate the threat of structural damage to your home with proper termite control. Seeking out professional exterminators can save you thousands in home repair costs down the road. If you think you have a termite infestation, don’t wait.